I have forever been in awe of Japanese culture, writings, art and folklore. One of my favorites being the Kitsune. Kitsune is the Japanese word for fox. Foxes are a common subject of Japanese folklore. 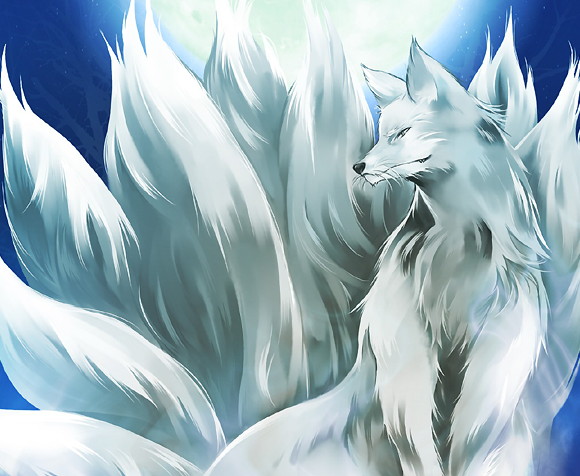 They are a type of yokai, or spiritual entity, and the word kitsune is often translated as fox spirit. Stories depict them as intelligent beings and as possessing magical abilities that increase with their age and wisdom. Some folktales speak of kitsune employing this ability to trick others—as foxes in folklore often do. The more tails a kitsune has—they may have as many as nine—the older, wiser, and more powerful it is.Some folktales say that a fox will only grow additional tails after it has lived 100 years. 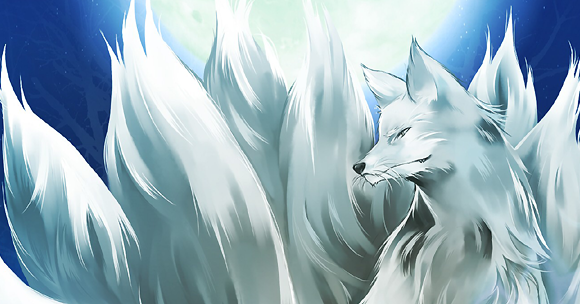 When a kitsune gains its ninth tail, its fur becomes white or gold.